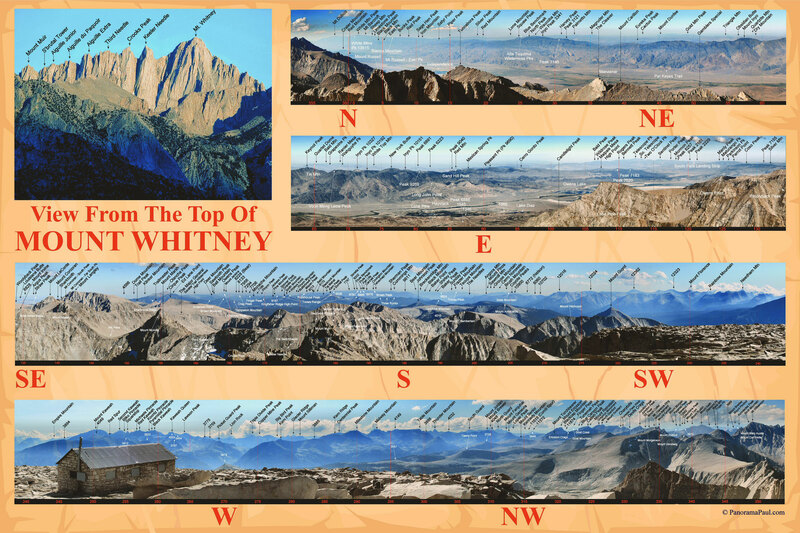 This high quality 2' X 3' Mount Whitney photographic map, with a matte finish, can be framed and hung on a wall...or folded along appropriate lines into a 6" X 12" package; perfect for a backpack. I really wish something like this had been available for my bucket-list climb of Mount Whitney several years ago. This creation resulted from that climb. More than 340 surface features are labeled. Order two...one for the wall and one for the trail. Use PayPal or send check to Panorama Paul, PO Box 1641, Ridgecrest, CA 93556. Free sortable 472-entry index (MS Word table) available from: info@panoramapaul.com. 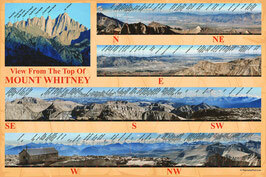 The Mount Whitney Labeled Panorama is my only printed paper product. I have several other similar labeled photographic maps (some shown above) from other locations, available only in digital form. 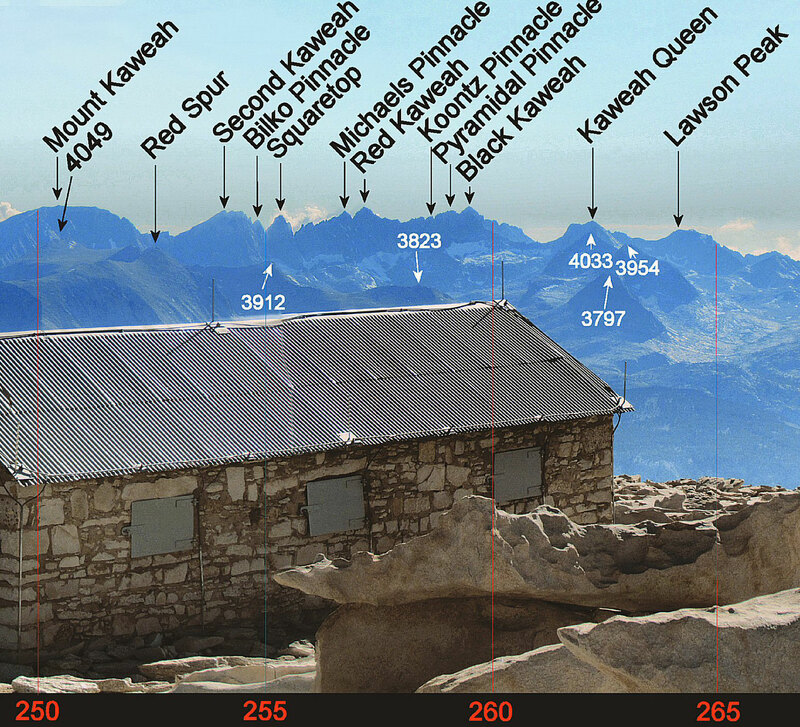 They can be viewed at https://www.summitpost.org/image_list/panorama-paul/138560. Unfortunately, none of my website views can be downloaded at full resolution. They can, however, be emailed...contact me at info@panoramapaul.com. I also can label your photograph, in detail, if you can describe exactly where it was taken from...contact me at info@panoramapaul.com. I've been enjoying a marriage of scenic photography and climbing to high parts of the Eastern Sierra Nevada, Inyo and Panamint Mountains for many years. Recently I've developed techniques to accurately identify landmarks in my photographs.